With Baby Einstein’s Infinity Block, there are infinite ways your baby can explore new colors and patterns. Flip and fold the soft block toy inside out to create and reveal new images. Watch as your baby focuses on the high contrast black and white patterns, designed specifically for newborns as their eyes are developing. Touching and grabbing the various textures of the baby blocks promotes sensory exploration, while jingles and crinkles add to the tactile experience. This baby toy is filled with fun surprises, like the baby-safe mirror that will reflect your little one’s big smile. 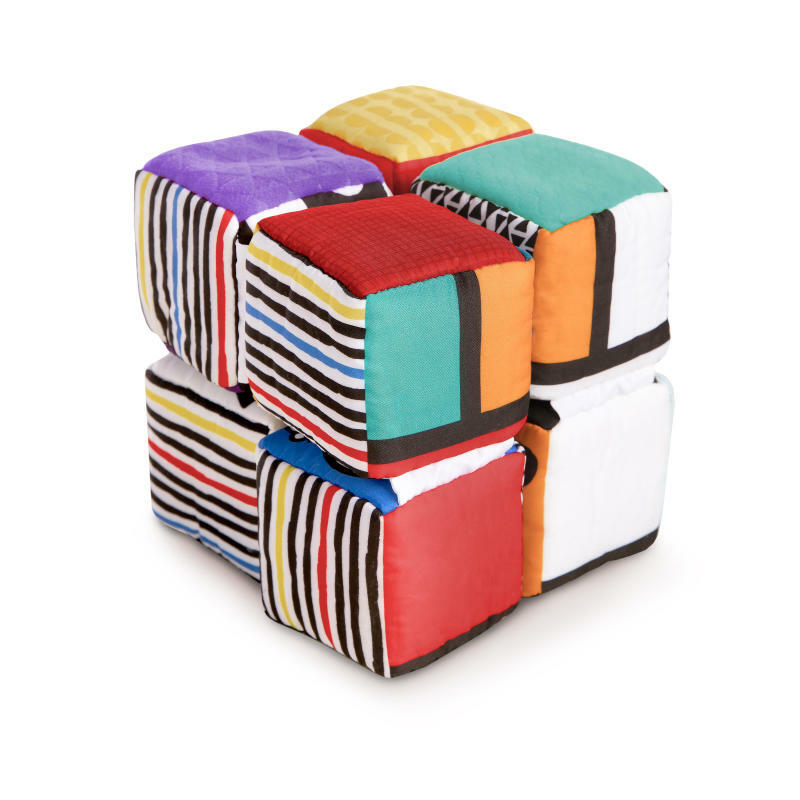 From tummy time to sitting play, the Infinity Block will give baby endless hours of fun.